Dame Judith Macgregor DCMG LVO joins the British Tourist Authority (BTA) Board in December 2017. Dame Judith was British High Commissioner to South Africa from September 2013 until March 2017, when she retired from the Foreign and Commonwealth Office after a career of some 40 years in the Diplomatic Service. After graduating from Oxford (LMH) with a first class degree in Modern History, and a year in Romania as a British Council scholar, Dame Judith entered the Foreign and Commonwealth Office (FCO) in 1976 serving first in the former Yugoslavia, and later as First Secretary in Prague and Paris. In her early years in the FCO, she held various posts dealing with Poland, Western Europe, and as the Secretary of State's speechwriter. After accompanying her husband as Director General for Trade Promotion in Germany and Ambassador to Poland, she resumed her own career as FCO Director for Security Policy in 2000, and then as Ambassador to Slovakia (2004-6). She was appointed FCO Director for Migration in 2007, and Ambassador to Mexico in 2009, for which she was awarded the CMG. In 2013, she became British High Commissioner to South Africa, Lesotho and Swaziland. She was awarded the DCMG for her services to Diplomacy in January 2016. 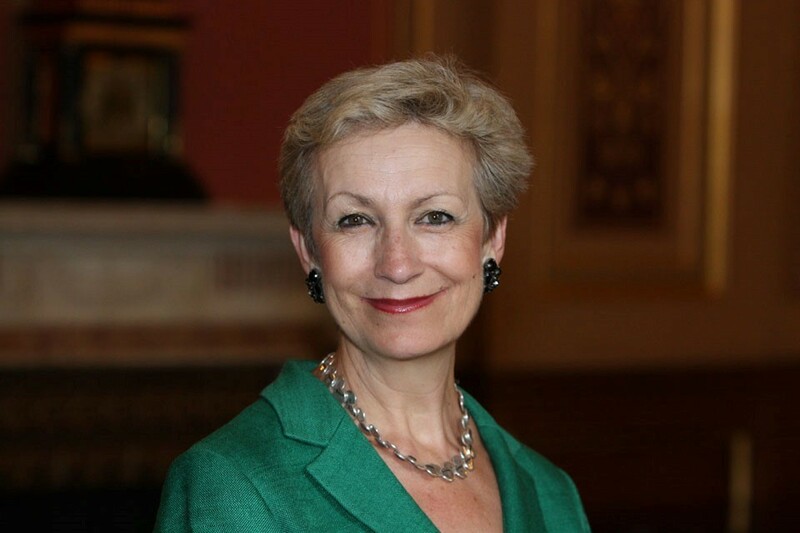 Dame Judith was President of the FCO Women's Association from 2006 to 2016 overseeing a significant increase in the number of FCO women in the senior grades. In Mexico and South Africa she led government efforts to increase bilateral trade and investment as well as to boost tourism to the UK, working closely alongside VisitBritain. Dame Judith also spearheaded projects to increase bilateral programmes in R&D and represented UK Embassies overseas on the Whitehall Ministerial Committees Governing ODA Funding for International Research and Innovation. Since leaving the FCO, Dame Judith has become an Independent Non Executive Member of the Board of the UK/Mexican mining company, Fresnillo plc and a Lay Member of the Governing Council of Southampton University, while remaining on the Advisory Board of the School of Slavonic Studies of UCL. Dame Judith was elected an Honorary Bencher of the Middle Temple and Honorary Fellow of Lady Margaret Hall, Oxford in July 2017. Dame Judith’s husband John, concluded his diplomatic career as Ambassador to Austria and UK Governor of the International Atomic Energy Agency, to become Dean of the University of Kent at Brussels. During his wife's appointment to Mexico he was Visiting Professor of International Relations at the Instituto Tecnologico Autonomo de Mexico, and now teaches and mentors at his old Institute in Brussels and at the Diplomatic Academy in Vienna. Dame Judith and Mr Macgregor have a daughter and three sons.